Love it or loath it February has become intrinsically linked to St Valentine's Day and romance; this month we are eating our way through different foods that are perfect for an amorous night in whether you are romancing yourself or a significant other. This is one of my favourite new foods. I mean, I am absolutely crazy in love with this hunk of protein and for a faux meat nut like myself it ticks all of the boxes, from satisfying texture to full flavour. This smoked seitan steak is very versatile and can be served as a traditional steak with a red wine sauce, in a sandwich or chopped into strips and added to a stir fry. Made by a husband and wife team in the UK's vegan capital of Glasgow the quality of ingredients and passion for providing a meaty gourmet experience are apparent in every mouthful. Welcome to your new addiction. 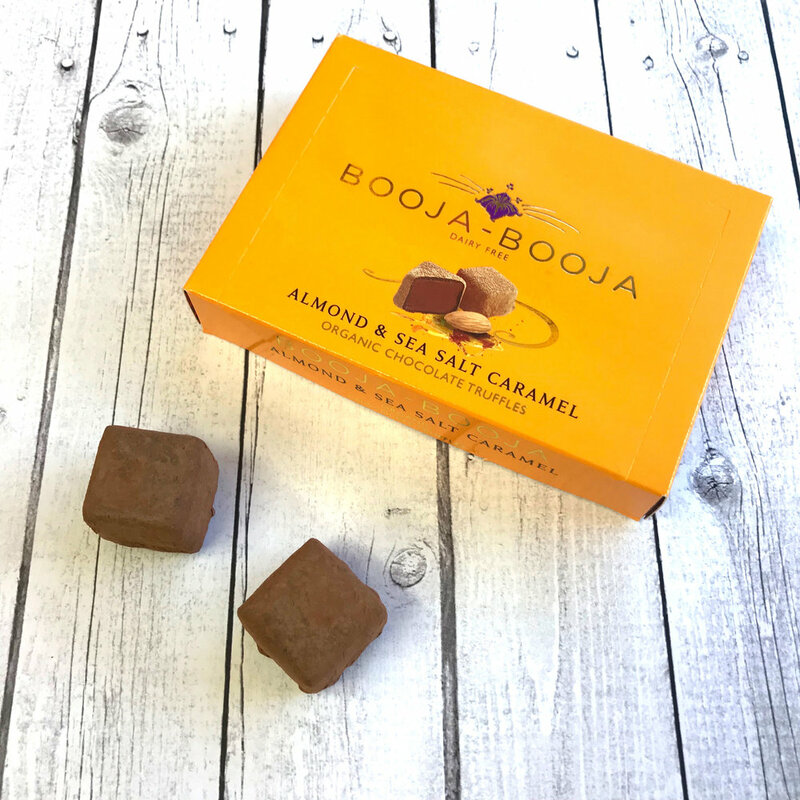 Booja Booja have been turning out great tasting vegan truffles for the best part of two decades and have been a regular go to for gifts and treats for many vegans so it will come as no surprise that they are featured on our wall of romantic February food. The Almond & Sea Salt Caramel truffles are my absolute favourite as caramel is still quite a novel flavour to me and I love how the salt complicates everything (in a good way). For those trying to cut down on cane sugar the Rasberry and Dark Equadorian truffles are made with Agave syrup. I've never been one for 'healthy' desserts probably because I don't have a mad sweet tooth that I need to conquer/trick but also because I like a treat to be indulgent. Well, raw food has amazed me again and delivered a delicious treat that is sumptuous and decadent in flavour as well as being made of a very few healthful ingredients in the form of Onist Salted Caramel Chocolate Avocado pot. This little jar of chocolaty goodness is decadent enough for date night but healthy enough to have as an extra fun breakfast. If, like me, you like to cook on the fly this little vegan protein box is a great addition to the pantry. 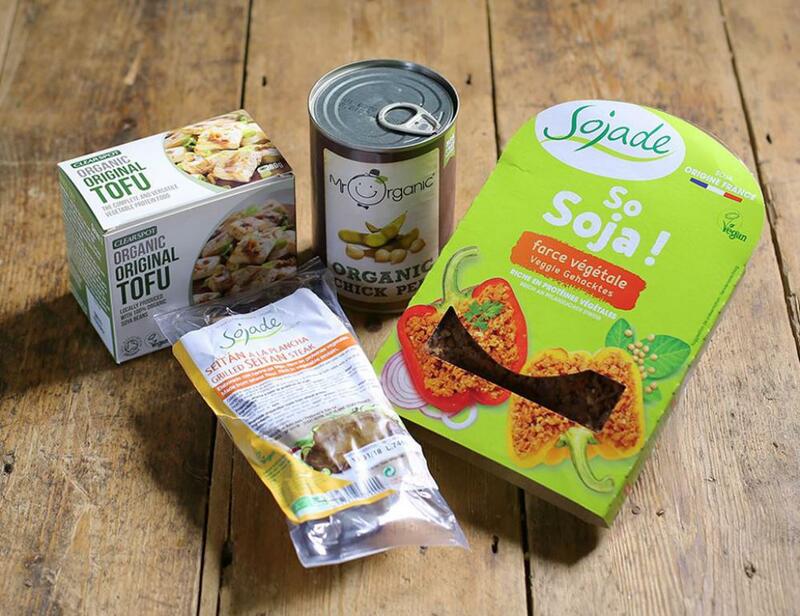 Each item is the perfect base for a variety of dishes whether you are whizzing up a bolognese sauce, tofu benedict, seitan steak stir fry or a killer hummus. This is one for the foodies and may well divide opinion. I find this basil infused rice based yogurt totally baffling and incredibly more-ish as a result. It is neither sweet nor savoury and the distinct basil flavour is aromatic and clean. The texture is smooth but new converts to dairy free may find its translucent and vaguely gelatinous appearance off putting. I think it is odd and amazing and will be paring it with my favourite pancakes and strawberries for a romantic breakfast.